1. Discover February is Cheaper! You NEED to discover that summer = savings on the Granite Belt! Accommodation places and some tours offer special prices (or bonus extras) and these are still on offer for visits to the end of February! A couple can stay for 3 nights in Ballandean for as little as $300! View this and other summer cool deals here and get booking! February is a top time of year to visit the Granite Belt, with lovely cool summer nights and low humidity days in the high country. It’s also the time to see apple harvest kick off and the first of grape harvest in the vineyards too. 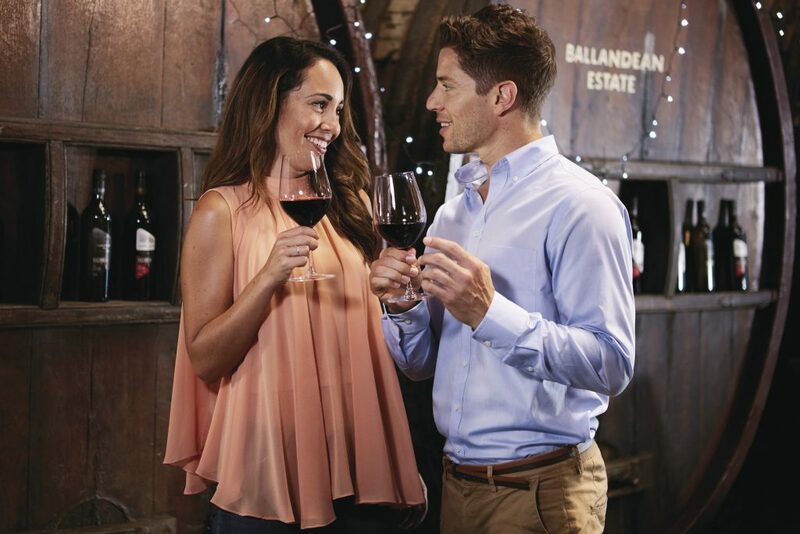 With less crowds in February, it’s an ideal time for visiting cellar doors and chatting to the winemakers. 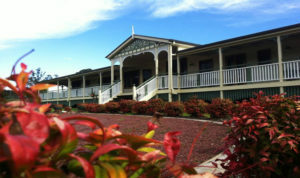 You can’t go past the $10 tour at the Queensland College of Wine Tourism for a top value food and wine tour experience! 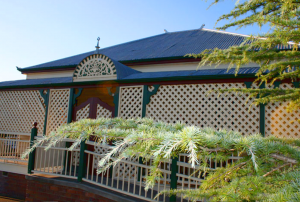 Tours run at this impressive education facility in Stanthorpe 10.30am Thursday to Sunday. Includes a guided tour of the facility and a cooking demonstration in the new display kitchen, with a chef or apprentice chef, complete with a delicious tasting of the finished product at the end! 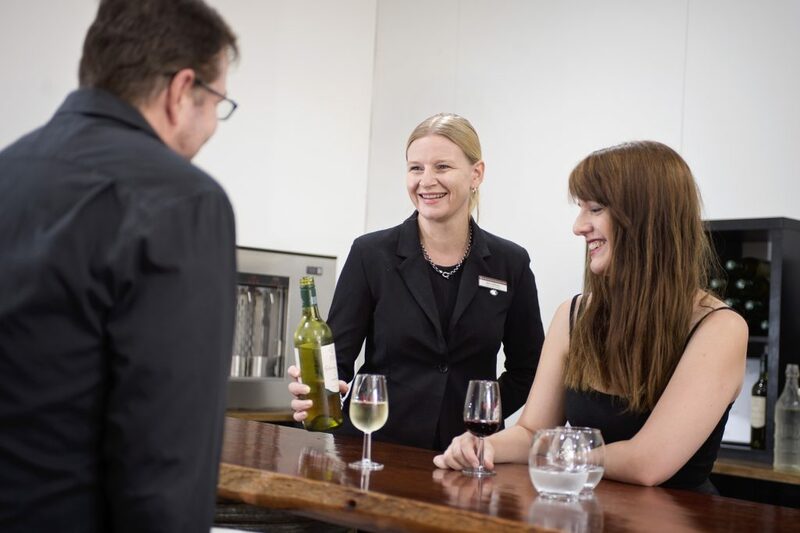 The final part of the tour is a wine tasting, in the purpose built ‘Tastes of the Granite Belt’ room, where wines are tasted from a large selection of Granite Belt wineries. Saving on accommodation can be as easy (and fun) as bringing your friends with you! Make it a girls weekend, or bring a few couples with you and you could save stacks on accommodation. $50 per person per night in peak times, or as low as $32 per person per night in low season! Prices based on 8 people sharing cost, minimum 2 night stay. Prices are a guide, contact Connor House to confirm prices. More about & contact Connor House. JAMES FARMHOUSE is a large character filled farmhouse in Ballandean. $53 per person per night to end of March, or less than $60 per person per night April to September. Price based on 8 people sharing cost, minimum 2 night stay. 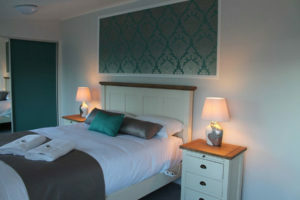 James Farmhouse sleeps up to 14 people, so pay even less with a big group. More about James Farmhouse. View rates. 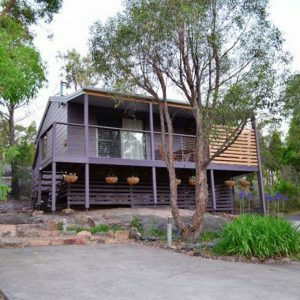 LOGGER’S REST in Stanthorpe has a spacious modern self-contained bungalow with 3 King Rooms. Price based on 6 people sharing cost, minimum 2 night stay. 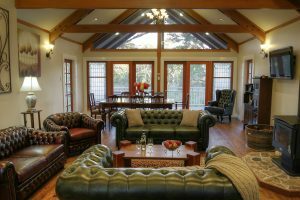 DIAMONDVALE LODGE is an expansive, 4 bedroom self-contained luxury option in bushland on the outskirts of Stanthorpe, purpose built for group stays. Less than $89 per person per night on weekends or less than $68 per person mid-week. 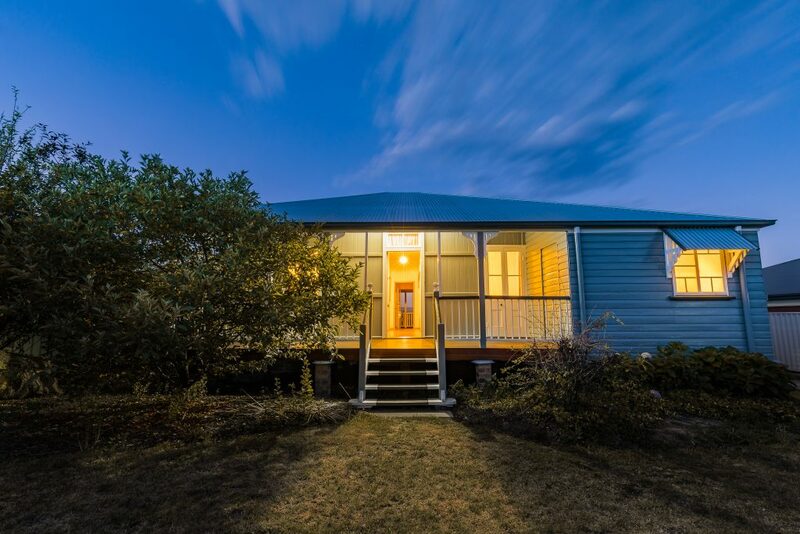 View more accommodation options across the Granite Belt. *Prices are provided as a guide and please confirm the prices with accommodation when you book. The maths adds up to top value for Autumn’s hot ticket event on the Granite Belt… Grazing the Granite Belt, 18 – 19 May 2019. (Tip: tickets will sell out so get organised now). Hosted by local chefs and winemakers, spend two days lazily grazing your way across the tastes of the Granite Belt. 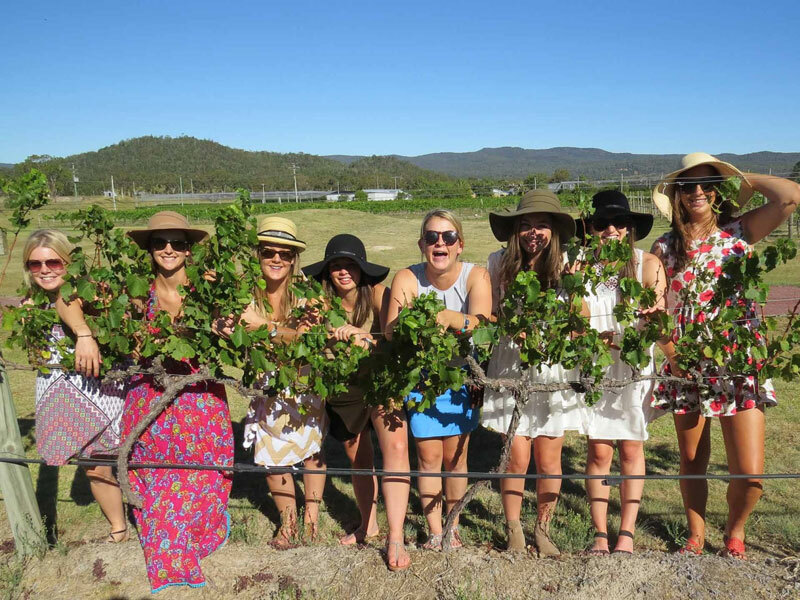 This is a showcase food and wine event that literally spans the Granite Belt wine region. 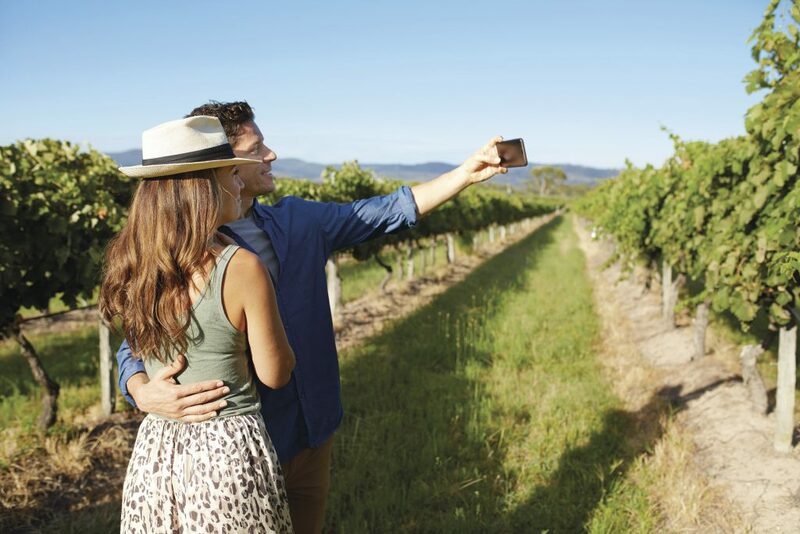 Food and wine spots in Stanthorpe, Ballandean and surrounds will serve award-winning wines and dozens of gourmet food dishes, selected especially for this limited ticket event. Unlimited use of the hop-on hop-off bus on Saturday. Spend Saturday on the hop on hop off bus visiting the participating venues and enjoying the wines on offer, as well as indulging in the wonderful meals prepared with local ingredients by our food artisans. On Sunday, join us for Breakfast with the Winemakers before venturing out on your own to use up any vouchers you have left at the participating venues. Find out more and buy tickets now! 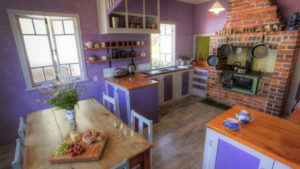 There’s BIG savings on accommodation mid-week, so if you steal away to wine country Monday to Thursday you’ll be winning! Check their mid-week special package, including hot breakfasts and a bottle of wine. $245 per person for the entire 2 night stay package. Click here to view package details. Mid-week package for 3 night stay in a studio villa. or $480 (1st April – 30th September). 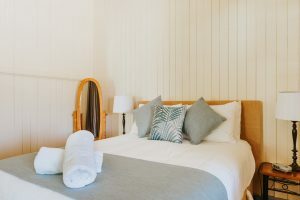 Pretty much every accommodation place on the Granite Belt offers great mid-week prices, so check out more options here. Sure, there are some spots on the Granite Belt that aren’t open mid-week, but the places that are open are so numerous that seriously you’ll have more to do than you can fit in a few days! Open 7 days are: Ballandean Estate Wines, Casley Mt Hutton Winery, Just Red Wines, Bungawarra Wines, Golden Grove Estate, Granite Ridge Wines, Heritage Estate Wines (church cellar door on the New England Highway), Jester Hill Wines, Pyramids Road Wines, Ridgemill Estate, Rumbalara Estate Wines, Symphony Hill Wines, OK you get the idea… there’s plenty of wine tasting all week! Plus check ahead there’s plenty else to see and do mid-week like visiting Girraween National Park, lunch at Varias Restaurant (at the Queensland College of Wine Tourism), historic Wallangarra Railway Station Museum & Cafe, the Stanthorpe Cheese Factory and Sutton’s Farm for apple cider and apple pie! Plus more – just ask at the Stanthorpe Visitor Information Centre.